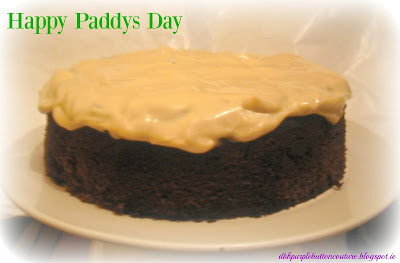 I thought I'd try something a bit different this Paddy's Day, so instead of the usual green cupcakes I'm making a Dark Chocolate Guinness Cake with Baileys Frosting!!! I found this great blog Love Swah, with this recipe, show this girl some love and check out the full recipe here!!! I used Guinness Stout as per recipe but if you prefer Beamish or Murphy's stout then I don't see a problem. It's your taste so pick your favourite Stout! 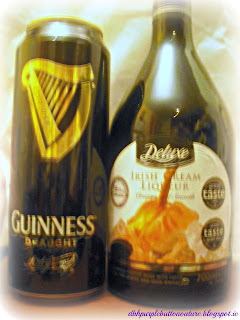 I read this great review of Baileys and alternatives from A Thrifty Mrs read here so I went with the Lidl alternative! This is a big recipe so I made 4 cupcakes too. I could have made more really!!! But I used a 7" tin. This cake is also sooo heavy! So small slices! 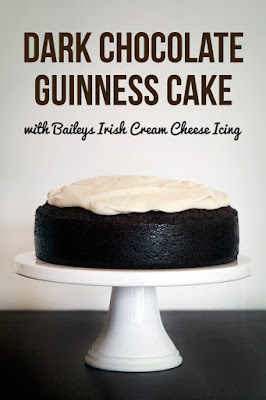 The Baileys frosting is amazing and I'm not a boozy person! I will definitely be making that again! Love this cake, a nice change from my usual cutesy baking! Hope you try it and enjoy it! !